MY CHAPTER ON CAROLE KING AND NAKED IN FRONT OF JIM MORRISON! This is a picture of me and my first day on the job at NewYork’s Lowe’s State Theater, yelling, “Immediate seating for Gone with the Wind! ” It’s fun to meet stars like Lucille Ball and Carol Burnett, even if it’s only to take them to their seats. The most appealing part of the job, however, is the location. It’s only five blocks away from 1650 Broadway — the new Tin Pan Alley, the “hipper”BrillBuilding! This is also the day that I take my Mother up to Aldon Music, to meet Al Nevins and Donny Kirshner. 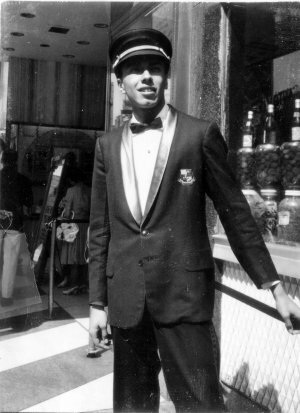 Donny’s partner Al is a member of the Three Suns (“Twilight Time”), who’s the guitar player in one of the top instrumental groups in the fifties. He’s as stylish and dapper as Efrem Zimbalist, Jr. on 77 Sunset Strip, and convinces my mother that I can learn more about the music business from spending time in their offices, than I can by going to college. Even though Al and Don only give me a $50 general advance when I sign an exclusive five-year songwriting contract, I know that millions of dollars aren’t far away. Like Chuck Berry says, “I study hard hoping to pass.” I’m privileged to be around some of the most incredible talent who soon would become the most successful songwriters in music business history! 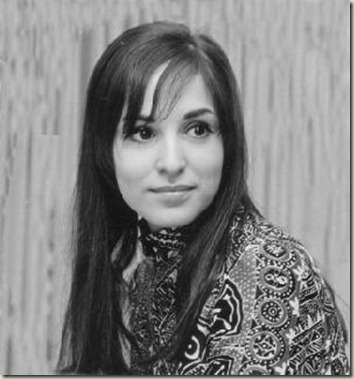 As a wide-eyed 18-year old, I sit for a few hours everyday in Aldon Music’s 1650 Broadway office and become friendly with most of the writers who are signed: Neil Sedaka and Howie Greenfield (“Happy Birthday Sweet 16,” “ Breaking Up Is Hard To Do” ) Barry Mann and Cynthia Weil (“You’ve Lost That Lovin’ Feelin’), Carole King and Gerry Goffin (“ One Fine Day,” “I’m Into Something Good”) Larry Kolber (“I Love How You Love Me,” “Patches”), as well as Brooks Arthur, Billy Michelle, Al Gorgoni, Tony Orlando, and a 14-year old Toni Wine. It’s exciting for me to sit around and listen to them as they discuss their songs, other people’s songs, and what radio is playing. Most of them are older than me and far more evolved. They lose me when they start talking about writing from experience, since I have none. All I can write about is my teenage angst and disappointment, which I guess gives the older writers a peek into my horny little world. Today is just another day when I’m going to hang out at the office. I walk into the revolving door at 1650 Broadway; I glance to my left and see Sam Cooke coming out. I get so excited to see one of my idols that I stop suddenly, trapping Sam in the revolving door. Embarrassed, I pantomime an apology while Sam smiles and exits the building. While I’m still recovering from the experience, I ride the elevator to the 6th floor with Larry Kolber, who was brought to Kirshner by his longtime friend Ira Howard. Jack Keller brings in his discovery, 14 year — old Toni Wine, to go over some songs in the piano room. 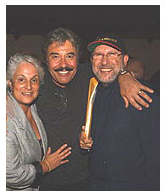 On his way in to meet Jack and Toni, Tony Orlando stops to say hello. He’s the first one to notice that I have my hair straightened for the first time, a la Jackie Wilson. Barry Mann and Brooks Arthur walk in with the demo of “I Love How You Love Me,” but every room with a phonograph is occupied. While they’re waiting, everyone starts kidding around. Barry starts doing impersonations of everyone in the office. He’s got Al Nevin’s smooth style and voice down, as well as Donny Kirshner’s walk and unbridled enthusiasm. He even imitates Neil Sedaka doing his “Oh, Carol” cha-cha. I’m surprised and a bit embarrassed when Barry does an imitation of me (complete with nerdy glasses and gangly walk). When Al and Don arrive after lunch, Faith, Al’s secretary, asks if Donny knows he’s wearing one black and one brown shoe. As he looks down at his feet I say, “I bet you have another pair just like that at home”. Everyone laughs — except for Donnie. You don’t want my love. Donny loves it, but nothing happens. It is never recorded, but it is the first song that is based on one of my own real life experiences that somebody connects with. Although I know how to play piano, I’m amazed whenever Neil Sedaka plays. He can go from classical to R & B in a heartbeat, and when he writes with Howie Greenfield; it’s magic! 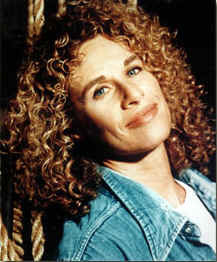 I occasionally baby sit for Carole King, while she’s in the studio doing demos. In return she plays keyboards, arranges, and sings all the background parts on my demos. I remember one day she comes in to play her new song for Donny Kirshner, but he’s still out to lunch. She asks me if I’d like to hear it while she rehearses it. I sit there as she goes over “Will You Still Love Me Tomorrow?” a few more times, even though I know I won’t be able to write anything of my own for weeks! “While I’m on the West Coast I let my friend, Ann Tansey, Mercury Records’ A&R director, stay in my apartment. I didn’t know she’d invited her sometime-boyfriend, Jimi Hendrix, to stay with her. When I arrive home, I find some nasty notes from my neighbors, about my loud guitar playing at 3:00 in the morning. The notes also say something about people going in and out of my apartment by way of the fire escape. I have no idea what really happened, but I do admit I am flattered that they think it was me playing the guitar! It’s hard for me to get back into the rhythm of New York this time around. There are too many things pulling me back to Hollywood, including a beautiful playmate I briefly met, while she is breaking up with a friend of mine. I’m tired of writing formula pop songs mostly about made-up experiences in a location that no longer holds any fascination for me. My partners try to re-ignite my excitement in our company, by telling me how well we’re doing financially, but that isn’t enough for me. 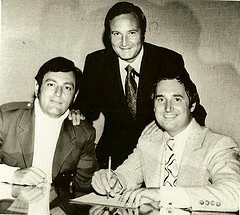 In the summer of ’69, my friend Allan Rinde had just joined Columbia Records family as head of Epic Records publicity. Two weeks into his stint there he himself went off to L.A.for aColumbia convention and returned with two thoughts: he didn’t want to be a publicist and he thoughtL.A.was paradise. I did my best to convince him that both of us should move there. Excited by the prospect, he approaches Cash Box owner George Albert (remember Allan had just left Cash Box to join CBS) and convinces him he needs more help in his West Coast office. Then he quits his job. Boy, is he pissed when he finds out that I don’t quite have it together to move out there with him. Allan forgives me by the time I visitL.A.again and lets me stay on his couch at his apartment onHarper Avenue. 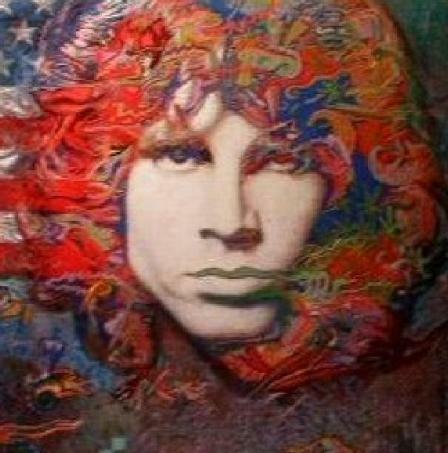 As I’m walking around the neighborhood I run into a lovely publicist friend of mine, who lives in the apartment downstairs from Jim Morrison and his girlfriend Pam Courson, around the corner on Norton Avenue. My publicist friend invites me in for a little “afternoon delight,” and while we’re in the middle of hooking up, a burly, bearded, blasé Morrison walks in. DON KIRSHNER R.I.P. ROCK IN PERPETITUITY! 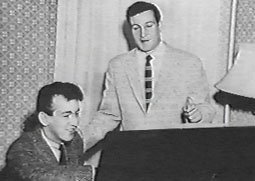 “After playing Bobby Darin (“Splish, Splash”) a few of my songs backstage at an Alan Freed Rock and Roll Show, I tell him I’m going to sign a management contract with Alan. Then he speaks to me privately. He tells me that a payola scandal involving Alan is about to break, and I should wait before I sign anything with the controversial Disc Jockey. Then Bobby tells me about a longtime friend of his who just opened a publishing company at 1650 Broadway. He writes down his friend’s name, and the next day I go to audition for Don Kirshner at Aldon Music. After hearing my songs, Don or Donnie as he likes to be called, a large imposing man still in his 20’s, gives my Mother such a pep talk about my future, even I’m convinced I can’t fail. He tells her, “If you’ve got talent and perseverance; all you need is a little luck”. 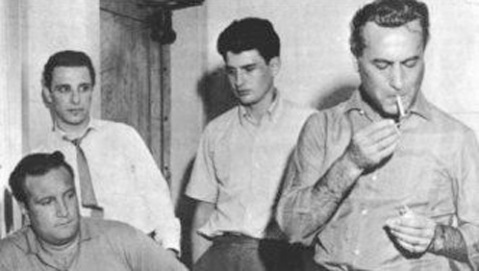 Then he and his partner Al Nevins convince my mother that I can learn more about the music business from spending time in their offices, than I can by going to college. Over the next year and a half I sit for a few hours everyday in Aldon Music and become friendly with most of the writers who are signed: Neil Sedaka and Howie Greenfield (“Happy Birthday Sweet 16”, “ Breaking Up Is Hard To Do” ), Barry Mann and Cynthia Weil (“You’ve Lost That Lovin’ Feelin’), Carole King and Gerry Goffin (“ One Fine Day”, “I’m Into Something Good”) Larry Kolber (“I Love How You Love Me”, “Patches”), Jack Keller (”Run To Him”) as well as Brooks Arthur, Billy Michelle, Al Gorgoni, Tony Orlando and a 14-year old Toni Wine. Everyday I learn something new from my pals who are becoming the tops in the music business. Donnie puts me together with Howie Greenfield who shows me how to tighten my lyrics, he asks Jack Keller to show me more interesting chords to play against my melodies, and gets me with Barry Mann to show me how to sing harmony. 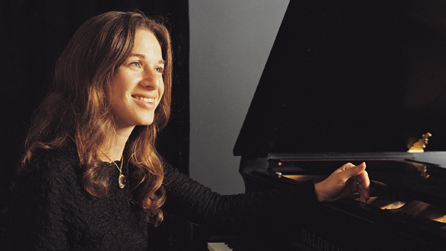 I occasionally baby sit for Carole King, while she’s in the studio doing demos. In return she plays keyboards, arranges, and sings all the background parts on my demos. I remember one day she comes in to play her new song for Donnie, but he’s still out to lunch. She asks me if I’d like to hear it while she rehearses it. I sit there with my mouth dropped open as she goes over “Will You Still Love Me Tomorrow?” I know I won’t be able to write anything of my own for weeks as I devour every line! Even though my Mother and Grandmother told me that I shouldn’t curse, from then on I thought it was cool…because Donnie Kirshner did it! Don Kirshner R.I.P. ROCKIN PERPETUITY! Or as my friend Grammy winning producer/engineer, Brooks Arthur likes to say, “ALDON MUSIC FOREVER!